As many of our state’s residents know, we live in a giant nature preserve called Florida; but what many people don’t know is that between 25 and 50 percent of all Florida’s mammals are bats! Only Texas has more bats than Florida, and because we humans—relative newcomers to this planet—are encroaching on their several million-year-old habitat, they are repaying us by encroaching on ours! This is of particular concern for our “Snowbirds” who, when returning to their Florida homes after spending summer in the North, often notice strange odors and sounds and see strange staining on their buildings that didn’t previously exist. 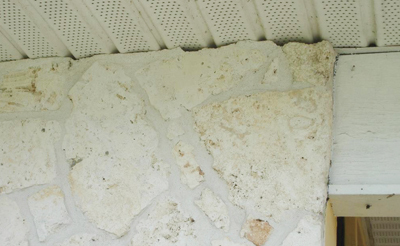 These “signs of occupation” can be caused by many different types of animal, but we’ll explain here how to tell if you have had a family (colony) of bats move into your condominium while you were away. 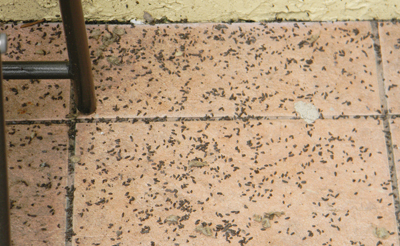 because the animal producing the droppings feeds on other dead animals. Almost all mammals have a calcium-based skeleton, and this white tip is in fact a calcium deposit. Bats, however, only eat small flying insects (such as mosquitos and moths), which are exoskeletal and therefore have no calcium in their “bone” structure (hence the lack of the white tip). Guano deposits often concentrate on the ground beneath entry points and on the roof surfaces and walls leading up to these entry points. Bats are not rodents and do not deliberately chew through or damage the structure of a building. However, their urine contains uric acid, which over time can begin to attack a building’s structure (such as the waterproof membrane beneath the tiles, wooden shingles, or metal sheets of a roof), leading to future problems of leaking and general structural deterioration. 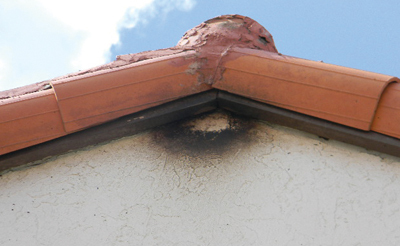 It can often be seen leaking down the wall from an entry or roosting point. In order to condition and waterproof their fur, bats have a gland on their chest which secretes oil. When entering a roost site, they often rub up against the side of the building, and some of this oil is transferred to the building. In the beginning, this staining appears as a slight, light-brown discoloration; but over time, it becomes a dark, oily stain. Eventually, if left unchecked, the bats can even begin to rub away partsof their own oil stains. When hunting at night, bats use a radar-like ultrasonic beams to detect and stalk their prey. The very high frequency of this sound is well above the audible human range and, as a consequence, we are simply unable to hear it. However, when they are back in the roost, it is certainly possible to hear their “social”chatter. It’s hard to describe or illustrate a sound, but imagine a cross between small birds chirping and tiny humans blowing kisses, and you’ve got it! Just before dusk, when they are preparing to emerge for the night, the sound of this “chirping” increases in volume and intensity, as they discuss between themselves where to have dinner tonight! Like sounds, odors are extremely difficult to describe. Most of the odor coming from a bat infestation is not produced by the guano, but by the bats themselves and their urine. As such, it has a musty, ammonia-type smell, and the larger the colony, the more pervasive and onerous the smell becomes. Once recognized, this unique “scent” is impossible to mistake, but the good news is that after the bats have been excluded, the smell begins to dissipate right away. Cleaning, pressure washing, or painting a building without first having dealt with the source of the problem results in a waste of time, effort, and money. The bats will not go away by themselves, nor will they relocate to any bat houses installed nearby in the hope of attracting them (unless they are first excluded from their roosts—and even then, they may not). The only effective solution is to implement a humane bat exclusion. This process involves allowing the animals to exit the building and then preventing them from returning. A proper exclusion from a professional expert company such as ours should offer a written guarantee that the bats (which are extremely territorial in nature) cannot re-enter anywhere in the roof—otherwise, the problem will simply relocate to a different part of the building. Bats are extremely social and tend to roost in large colonies, from a few dozen to up to 20,000 or more. In other words, you never have a “handful” of bats—you either have none at all or you have a significant-sized colony. They live for 30–35 years, and each female typically has one offspring per year (though occasionally they have twins). They are very territorial and babies (“pups”) born on a site tend to consider it their “home.” As a result, they are persistent in their attempts to return. Typically, we find that bats excluded from a particular building on a complex or from a particular area of a building will simply relocate to the nearest convenient aperture or structure in the vicinity. If, after having read this article, you feel you may be the victim of a colony of unwanted guests, you should contact a dedicated, focused, and knowledgeable company to investigate further. 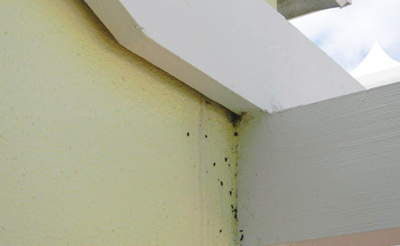 A successful and reputable bat exclusion company should not charge for an initial inspection and resulting report; and if they are engaged to resolve an infestation problem, they should offer an up-front written guarantee. In the final analysis, bats are a vital part of our ecosystem here in Florida, so we need to find a way to live together with them—albeit not in the same building! John Greenwood is a technical consultant with Friends of Bats, a company dedicated solely to the safe and humane exclusion of bat colonies, with operations in multiple locations throughout Florida. 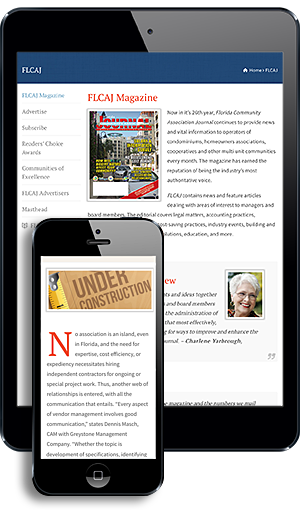 We are not a franchise, but a wholly owned and operated family business, which has been serving Florida residents for almost two decades. 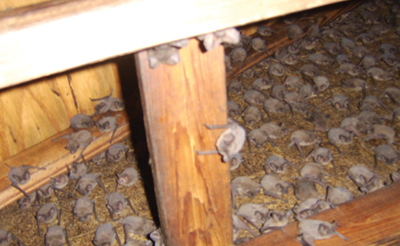 If you have any questions or concerns about a possible bat infestation or would just like some more information, please feel free to check out our website: www.friendsofbats.com; or call or email us: 1-888-758-BATS (2287); john@friendsofbats.com.